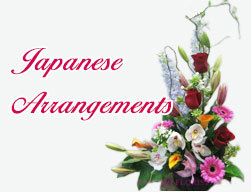 BUSI710 Lucky Bamboos in Cube [BUSI710] - $69.00 : Hanamo Florist Online Store, Vancouver, BC, Canada, Quality arrangements using a plethora of the freshest flowers. Dracaena (a,k,a,Lucky Bamboo) in 5" Clear Glass Cube Vase with Black stones and ivy vines. Approx. 15" in height. Long Lasting.